With over 400 Shinto shrines in Kyoto, choosing the best shrine to visit in Kyoto can be a daunting task. I’ve made a list of the best shrines in Kyoto to help you make the most of your time. Kyoto’s temples get a lot of attention from visitors, but some of the city’s 400-plus shrines are also first-rate attractions in their own right. One of them, Fushimi-Inari-Taisha Shrine, is among my five favorite attractions in Kyoto and should not be missed, no matter how short your visit. You can’t go wrong with any of the shrines listed below. Check them out and take a step back into Japan’s oldest religious tradition. Perhaps the single most impressive sight in all of Kyoto, bar none, Fushimi-Inari-Taisha Shrine is the most important shrine in the entire city. Don’t miss it! 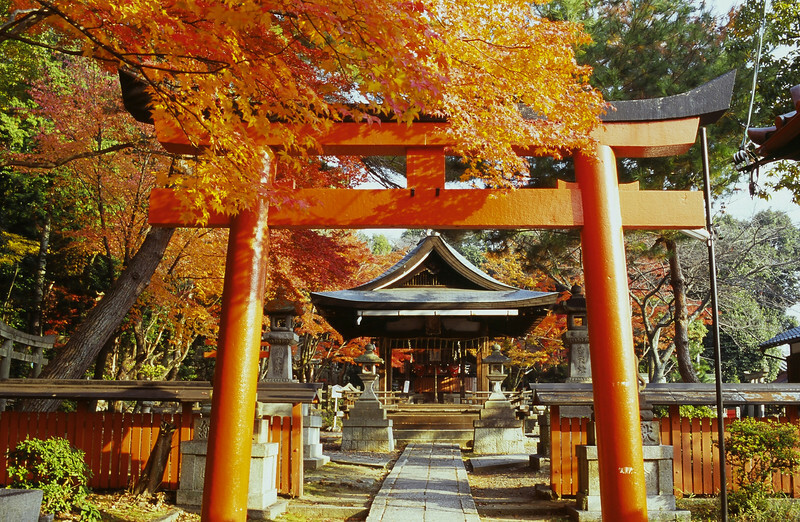 Shimogamo-jinja Shrine is second only to Fushimi-Inari-Taisha Shrine as Kyoto’s best and most beautiful Shinto Shrine. It’s a brilliant place for a stroll. New Years (Shogatsu) is the most important celebration of the year in Japan. Families and friends get together to drink, feast and visit the local shrine and temple. The central ritual, hatsumode, involves the first visit to the local shrine to pray for health, happiness and prosperity during the coming year (31 Dec to 3 Jan). Located in the north of the city, Kamigamo-jinja Shrine is largely ignored by tourists, but that is their loss: it’s a pleasant quiet sanctuary to stroll and gather your thoughts. Yoshida-jinja Shrine will always be one of my favorite shrines. My son did his “miyamaeri” here (his first ceremonial Shinto blessing). The shrine is halfway up Yoshida-yama and it’s surrounded by greenery. You can really feel the spirit of Shinto here.